Wheelchair basketball was developed in the USA by Second World War veterans. It crossed the Atlantic to England to replace wheelchair netball at Stoke Mandeville, considered the home of Paralympic sport. In 1955 it was incorporated into the Stoke Mandeville Games, the forerunner of the Paralympic Games, with the Pan Am Jets, coached by former Harlem Globetrotter Junius Kellogg, representing the USA at the Games. The early chairs were very heavy and difficult to manoeuvre. An early innovation was the three wheeled chair, with a single wheel at the back, which was highly manoeuvrable and very unstable. Wheelchair basketball was one of the foundation sports at the first Paralympic Games in Rome in 1960 and has been played at every Games since. A women’s competition was introduced in 1968. Australia has fielded a men’s team at every Paralympic Games, except 1964, and a women’s team at every Games since 1992. In the early years of the Paralympics, basketball was the most prominent wheelchair sport and most Australian Team members played basketball in addition to any other sport they specialised in. The Australian men’s team is known as the Rollers and the women as the Gliders. 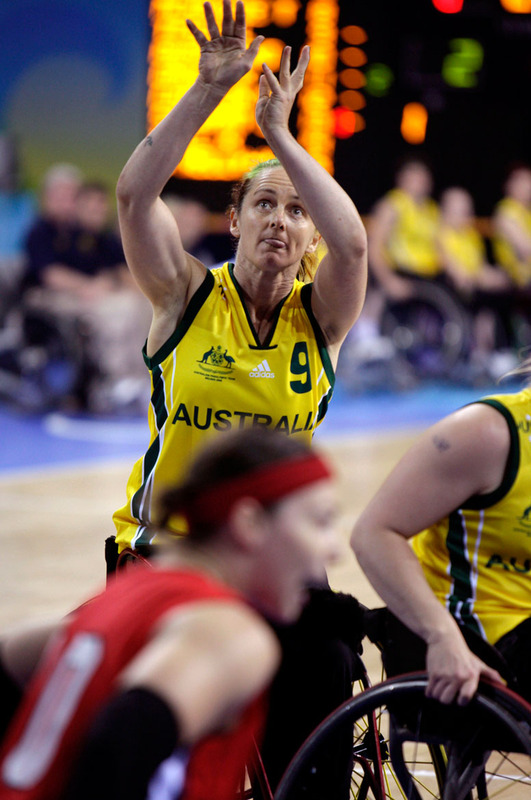 Australia has won six Paralympic medals in basketball – the Rollers won gold in 1996 and 2008 and silver in 2004 and 2012. The Gliders won silver in 2000, 2004 and 2012 and bronze in 2008. At the world championships, the Rollers won bronze in 2006 and gold in 2010 and 2014, and the Gliders won bronze in 1994, 1998, and 2002. "It's a great feeling when you win, or even just put on a great performance"
Gary Hooper: "Come on, you can do better than that."